Yes, that's a pun. Liebre is Spanish for 'hare'. So here we have lapine lucha libre wrestler Lucha Liebre. Although he's actually a Flemish Giant rabbit, not a hare, but 'rabbit' doesn't work for the pun. And are you really gonna tell an 8'6" tall high-flying wrestler you don't like his name? 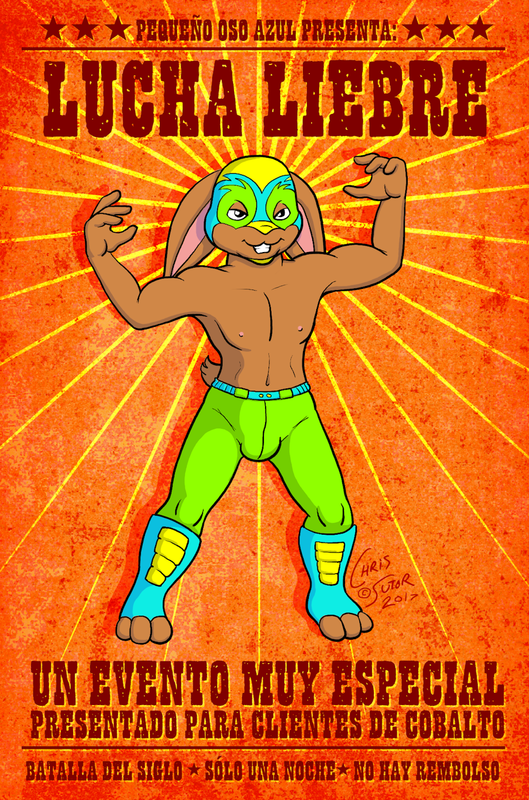 The 'Lucha Liebre' pun is mine. The rest of that Cobalt wrote with Google Translate, according to his post. cobalt as a reward for backing his Patreon. Go toss money at him, he deserves it! Soy el only need the eeeeedge. Pft, even wrasslin' fans use Chrome or Firefox! Pft, even wrasslin' fans use Chrome or Firefox! Edge, bah!